It’s been almost a week, but my X-A1/X-M1 shootout is still fueling controversy, even more so since my samples now also include comparisons with different external RAW converters: Lightroom, Photo Ninja and Iridient Developer. Feel free to download the original RAW files here and play with them with the converter of your choice. Or have a look at the Flickr set by clicking here. A popular discussion point in forums and blogs is the significant price difference between the X-A1 and X-M1, given that both cameras are pretty much identical and offer the same firmware. Granted, the JPEG engines of both cameras are calibrated differently in order to suit the perceived needs of either entry-level (A1) or mid-level (M1) photographers. However, there’s no difference regarding features and controls. Nor everybody seems to understand that. For about 200 dollars more, many (potential) users apparently expect more than just an X-Trans sensor CFA. Turn the video recording button into a second Fn button. Add Pro Neg. Hi and Pro Neg. Std film simulations. Bring back Adobe RGB as an optional JPEG color space. Offer a Kelvin option in the white balance menu (shooting mode and internal RAW converter). Add an option to turn the Sports, Landscape and Portrait scene modes on the mode dial into additional custom modes. Enhance the camera’s exposure compensation to comprise ± 3 EV. Support the Lens Modulation Optimizer (LMO). Add an option for WYSIWYG brightness and a working live histogram in manual exposure mode (M). Bring back the electronic level indicator and Motion Panorama. However, I fear these two features are based on a hardware sensor that is missing in the X-M1. These enhancements, in addition to the X-Trans sensor, could help justifying the current price difference between the X-A1 and X-M1. What do you think? 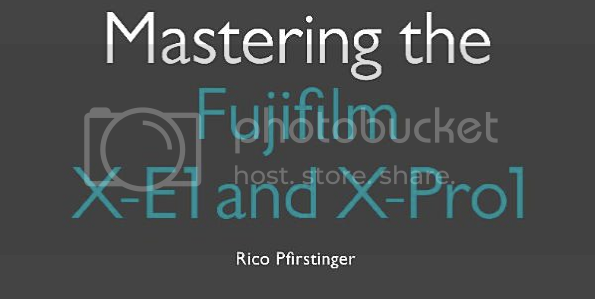 How could Fujifilm add value to the X-M1 through firmware updates?